During the retreat you’ll take part in 5 Ayahausca ceremonies led by the Maestro Segundo Chani & his wife Belmira Fernandez. During the week we will be hosting 5 Ayahuasca ceremonies. The Ayahuasca medicine is a sacred plant brew that has been used by indigenous Amazonian cultures for thousands of years – primarily for healing, divination and spiritual awakening. Working with Ayahuasca is an intense, profound, and almost always a highly transformative experience that can facilitate deep healing on all levels of your being – physical, mental, emotional and spiritual. 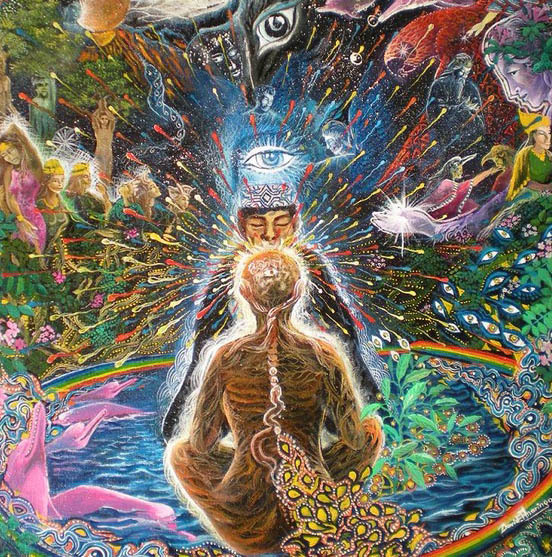 Ayahuasca is a doorway to inner worlds that allows us access to higher states of consciousness and the experience of spiritual awakening. To many people it reveals the multi-dimensional nature of reality and ourselves and it leads us back to who we truly are. Purging and cleansing play a fundamental role in Amazonian shamanic healing traditions. The primary reason why Ayahuasca is such an effective medicine is because it’s a purgative meaning that it usually (but not always) causes you to purge or vomit during the experience. However, what’s unique about ayahuasca is that you’re never only purging physical stuff. An ayahuasca purge also releases you of unhealthy mental and emotional energies that you may have been carrying that were initially caused by difficult experiences in your life such as emotional wounds, abuse, relationship difficulties and depression. Our hope is that by the end of the retreat you will feel like a new person, fully cleansed of most of the negative and harmful toxins in your body, be they physical or emotional toxins. 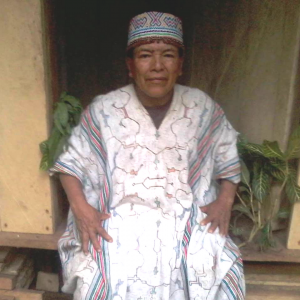 We are proud to be working with indigenous Shipibo shamans who are powerful and loving healers. 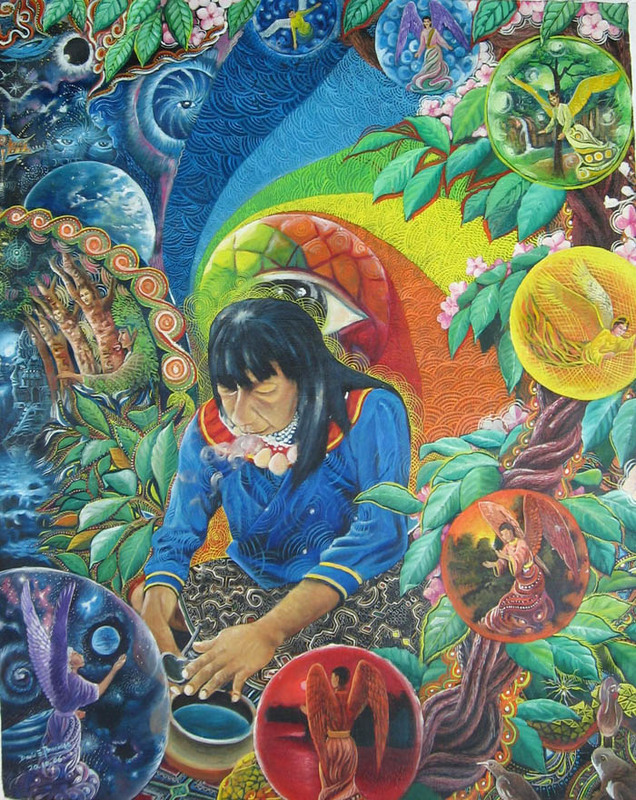 The Shipibo tradition is known as the best preserved and profound of the indigenous cultures that use Ayahuasca, hence their reputation as masters of the medicine among the indigenous people of the Amazon. Our healers assist you personally to understand your particular needs, they are spiritual doctors working in the physical and spiritual realms. They are deeply respectful in their way of connecting to and sharing the medicine – the dietas they have completed follow a long held ancestral path. They perform sublime ceremonies, guiding and supporting with strength, love and humility. The ayahuasca we share is among the best you will find, Segundo prepares the medicine in a ceremony following traditional Shipibo rituals. The ayahuasca vine in the area around Pucallpa where he is from, is widely regarded as being consistently stronger than others around Iquitos. The energy and intention of the ayahusquero cooking the medicine is known to significantly affect the journey, hence Segundo personally cooks the ayahusaca you drink. We only use ayahuascca, chacruna and mapacho in our medicine brews, some maestroes are known to use Toe (datura) to trigger stronger visions – we absolutely will not use these plants as the side effects can be extremely dangerous and disorientating for the individual. 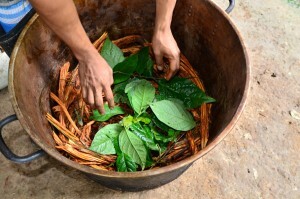 We’re pleased to assure the integrity, quality and source of our Ayahuasca brew. Accommodations in Peru if you wish to arrive earlier or stay later than the dates of the retreat. 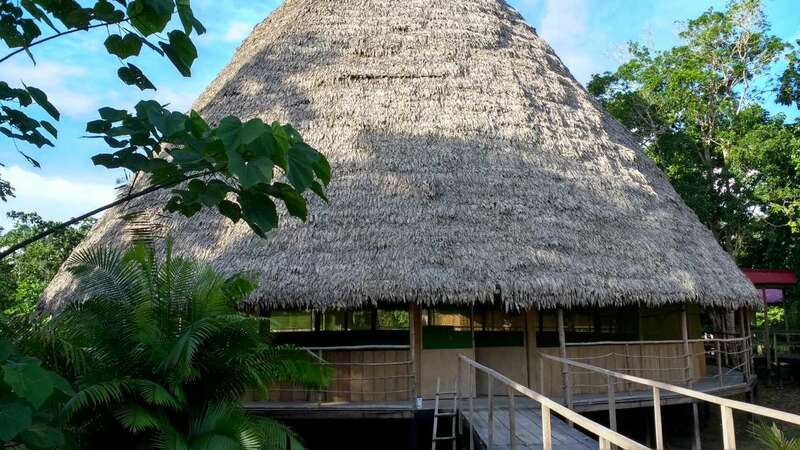 The cost of this retreat is just $990**, all inclusive, for 7 nights/8 days and 5 Ayahuasca ceremonies. We now accept payment by credit and some debit cards through the retreat.guru booking system. When you register you can choose to pay in full or pay a deposit of $500. If you pay a deposit, the remaining balance will be automatically charged to your credit or debit card 6 weeks before the retreat starts. Payments are only refundable if you cancel 4 or more weeks before the start of the retreat. The payment is non-refundable if you or we cannot find someone to fill your place on the retreat in the time given to us. Changes/cancellations within 4 weeks of the retreat are at our discretion – part of your deposit may be usable towards future retreat. If you are intending to come on the retreat with a friend or partner then we must receive a separate registration from each of you. If we do not receive a registration you will not be put on our reservation list and will not be able to attend the retreat together. Very important – Please do not book your flights until you have had your booking confirmed. Ayahuasca in and of itself is a very safe medicine. However, when taken in conjunction with certain other medications, drugs or health conditions can be dangerous or even life-threatening. It is therefore important to be open and honest on the registration form. This is for your own safety. If you are taking any medications and will not be able to stop taking them 6 weeks before the retreat starts, please contact us before registering. If you have any kind of serious medical condition please also contact us before registering. We reserve the right to refuse anyone for any reason. If we feel it will be unsafe for you to attend the retreat we will cancel your booking and refund your payment. Currently we’re not accepting reservations through this website. Please visit the Gaia Tree website to register for this retreat. Updates to the retreats will appear on the Gaia Tree website first, so we ask that you look there for the latest retreat information and details. Got a question about this trip?